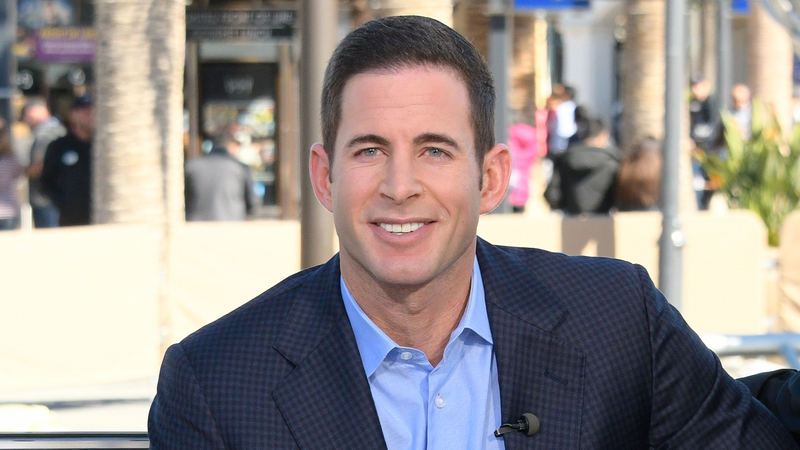 It looks like Tarek El Moussa is going to be very familiar with his new neighbor, who will live right down the street from him as he gets settled into his new bachelor pad in Costa Mesa, California. After a public, emotional roller coaster of a split and the uneasy navigation back to normal, Tarek is going to be neighbors with his ex-wife, Christina El Moussa, we learned on Friday. So, how does he feel about it? Talking to E! News, Tarek joked, "I'm like, 'Get out of my neighborhood!'" when explaining his reaction to the funny turn of events. But on a more serious note, Tarek made it clear once again that he and Christina were cool and that, if anything, them living still living close to one another would be best for their children, Taylor and Brayden. "The great thing is we are so close, we can see the kids more often," he told the news outlet. "Taking them to school is not a half-hour drive anymore, it's a five-minute drive. And I think having both houses in the same community will make the kids have a sense of community, a sense of home." It's yet another silver lining Tarek has found in this new chapter of his life, which now includes moving into his very own place and getting it all ready for his new life. According to E!, the house flipper went into full remodel mode, making over the kids' rooms (a cars theme for Brayden and mermaids galore for Taylor) and sprucing up different areas of the home, including a yoga studio, 26-foot fireplace and spacious backyard and pool. It certainly sounds like Tarek is peachy keen with his new living arrangements, and honestly? We're happy to see him so happy about it too.